Exciting news! 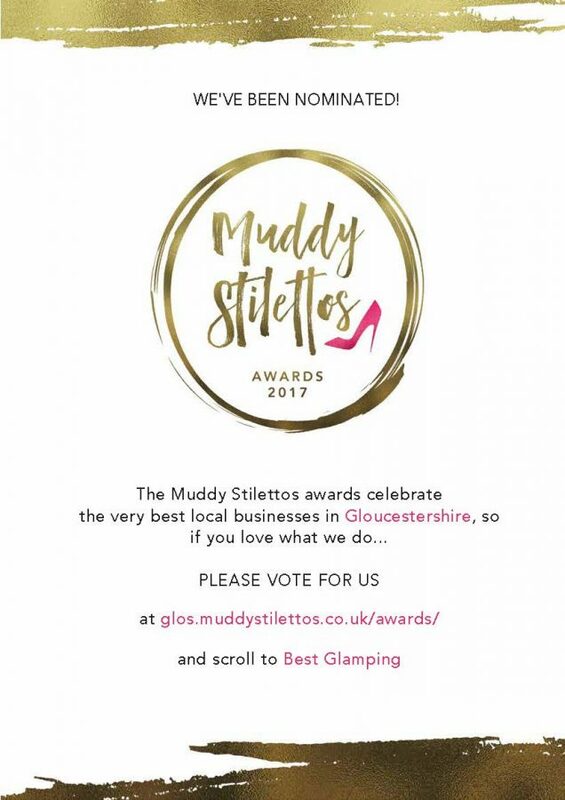 We’ve been nominated in the Muddy Stilettos Awards 2017 for ‘Best Glamping in Gloucestershire’. But now we need votes to win. Following the nomination, it’s all down to the public vote – we would love your help!